It will probably look better than the dowdy messes VW has made of the Atlas and Tiguan. [trying to reduce costs after the diesel fiasco and the billions they spent on settling law suits. For example on (german) Motor-Talk, but they can be found everywhere. 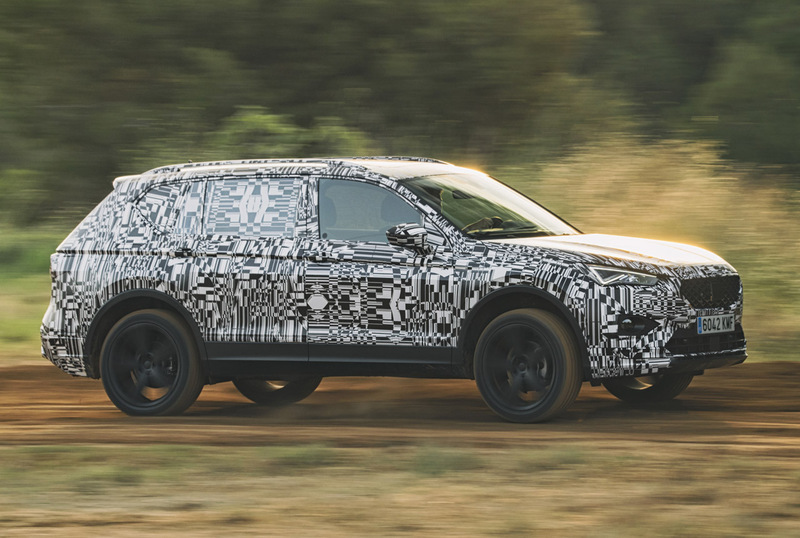 I'm sure the world was waiting for yet another MQB SUV, especially a Hyundai, oh , sorry, Seat front end on the not so highly praise Tiguan Allspace. The world doesn't care about MQB or not, they just want SUVs no matter what, so it makes sense for SEAT to jump on the wagon, even if it is clearly a badge engineering job. Most people won't even recognize that it is practically identical to a Tiguan Allspace, just with different front, rear and dashboard. And to be honest, it even seems to be working, much better than on the original I would say. If it comes out better looking than the ugly Tiguan--easy accomplishment--slap on a VW badge and sell it as the Tiguan in theUSA. I agree with everything you said and its definitely very unsatisfying for car enthusiasts like us. I hope, that with the success of Ateca and likely also the Tarraco for the next generation models SEAT will get more freedom to do their own thing in case of design. I tend to get bored of these extended "presentation phases" with long test drives and press events half a year before we see the real deal; I guess with nowadays rather evolutionary model upgrades it should make the car more interesting than it is; But in this case, a rather not so fresh anymore Tiguan with a new face, I'm not sure anything can make that really interesting. Much nicer looking up front than the dull, borderline ugly Tiguan's face.